Spotlight On . . . Shannon Jarrott, Ph.D.
Shannon Jarrott, Ph.D., a Professor who recently joined the OSU College of Social Work (CSW), comes to us from Virginia Tech where she was Associate Professor in the Department of Human Development, Director of Research for Virginia Tech Adult Day Services, and Director of Intergenerational Programs for Neighbors Growing Together. She received her M.S. and Ph.D. in Human Development and Family Studies with a Gerontology Minor from the Pennsylvania State University in 1999. Dr. Jarrott is the Principal Investigator of Project TRIP, Transforming Relationships with Intergenerational Programs, a grant funded by the National Institute of Food and Agriculture: Children, Youth, and Families at Risk(CYFAR). Dr. Jarrott's research focuses on intergenerational community building, which stems from her work in adult day services for frail elders. As OSU and the Office of Geriatrics and Gerontology (OGG) are getting ready to open the Champion Intergenerational Enrichment and Engagement Center with community partners Columbus Early Learning Centers and National Church Residences, we are excited to have her expertise in intergenerational programming strategies. She will share her knowledge on shared-site programs, staff development, and incorporating student training in these unique community health and education settings. In addition to these interests, Dr. Jarrott has been involved with therapeutic dementia programming, service-learning, family caregiving, and a wide array of gerontological issues. She will be a great asset to the College of Social Work, the Office of Geriatrics and Gerontology, and the greater University community. Shannon comes to us with her husband, a teacher, and their high school-aged children. When she’s not doing research or teaching, you may find her running, knitting, appreciating the arts, or preparing a gourmet meal at home. Please join us in welcoming Shannon to Buckeye Country! 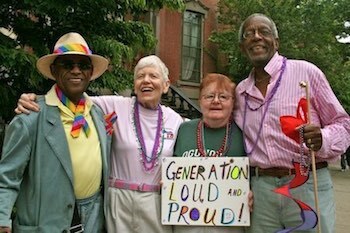 In the year 2000 it was estimated that 1 to 2.8 million Americans 65 and older identified as LGBT. In 2030, it is predicted this population will rise to anywhere between 2 to 6 million in numbers. As a result, it is likely that you, as a care provider, will care for a patient or client who identifies as an LGBT older adult. Unfortunately, the LGBT population has faced a great deal of discrimination in the past, which has led to many older LGBT adults having a negative perception of health care today. In fact, despite great advances in LGBT rights, specific discriminatory practices still exist that create significant barriers to quality health care for this group. Faculty from the OSU College of Medicine, in conjunction with the OSU Office of Geriatrics and Gerontology, have developed a new online module entitled “Caring for the Aging LGBT Population." This module provides an in depth look at the history of discrimination against LGBT adults, barriers to quality health care that exist for the aging LGBT community, the unique health care needs of the aging LGBT population, and specific strategies care professionals can utilize to ensure quality health care to this particular population. Through recognizing the specific needs of this community, care professionals can work with older LGBT adults and certain community entities to ensure that aging LGBT adults receive the proper support and care to enjoy a healthy senior life. Complete this module and earn continuing education credit through the Topics in Gerontology Program. A number of OSU students have also participated in the Ohio Scholars in Aging Program sponsored by OAGE and the Ohio Department of Aging. OSU student Emily Kowal, an Occupational Therapy student, participated in the Ohio Scholars in Aging Program this spring 2015 while undergraduate student Matthew Bezold, a Business Major, is participating this summer 2015. Finally, 2 OSU representatives have joined the OAGE Executive Committee and Board of Trustees including Dr. Shannon Jarrott, new faculty in the OSU College of Social Work this year, and Cynthia Dougherty, the Program Manager of the Champion Intergenerational Enrichment and Engagement Center from the Office of Geriatrics and Gerontology. For more information about OAGE, click here. 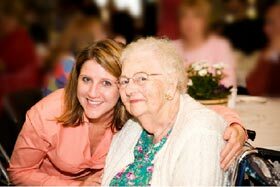 Looking for volunteer opportunities with older adults? The Worthington Christian Village retirement community located in Columbus, Ohio is looking for students and other individuals to participate in their newly implemented "Tool Box" Program. "Tool boxes" are personalized by the resident’s family with playing cards, photographs, games, and more. The family also supplies a list of things the resident liked doing when younger so that the volunteer can learn more about the resident. When volunteers visit, they use the tool box to facilitate rapport with the resident to ensure a pleasant and effective visit. This is a 12-week program that begins with an orientation session, with a start date of September 28th, 2015. Individuals interested in participating can contact Lauren Feyh, Activities Director, at 614-846-6076 or via e-mail at activities@wcv.org for more information. Aging Eye Summit a Success! Over 120 people from across the state of Ohio attended the recent Aging Eye Summit: Shedding Light on Vision Loss sponsored by Prevent Blindness, The Ohio State University College of Optometry, and the Ohio Aging Eye Public Private Partnership (AEPPP) this past June 2015. And what a wonderfully informative event it was! The meeting was kicked off with a welcome by the Dean of the OSU College of Optometry, Dr. Karla Zadnik, and the Director of the Ohio Department of Aging, Dr. Bonnie K. Burman - Co-Chair of Ohio's Aging Eye Private Partnership. Subsequently, attendees were treated to a variety of presentations about improving eye health and treatment outcomes, how the retina works, information about and detection of age-related macular degeneration and diabetic retinopathy, and low vision therapies. Additionally, we were educated about community resources from a panel of experts and provided with brochures and other information we can take back to our older clients including those experiencing vision loss. We were also very moved by the showing of the movie “Going Blind”. If you are a health care worker caring for clients with vision loss or just want to learn more about caring for clients with vision loss, we highly recommend attending next year’s Aging Eye Summit! 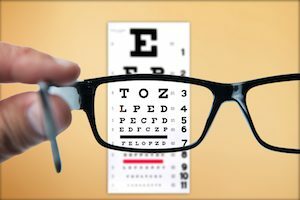 For more information about vision preservation, or to be placed on the list to be notified of Aging Eye Summits, e-mail Laura Schwartz, Special Projects Coordinator for Prevent Blindness. All undergraduate seniors in the OSU Department of Biomedical Engineering are required to take a Senior Design Course where they work on projects dealing with rehabilitation issues, new technology developments, and assistive devices. A large number of these projects directly address the needs of the aging population, but are able to help all age groups. They are led by BME faculty member Dr. Mark Ruegsegger, who creates collaborations between student teams and others across campus or in the community who have ideas or problems that could be addressed through their design work. As an example, students improved the hemi-walker, a side-style walker used by older adults with one-sided weakness. Current models change walking patterns and cause stability problems. Students added spring-loaded wheels with plastic guards so the hemi-walker would glide more easily when walking. When stationary, the guards drop to prevent the wheels from moving. The student design for the updated hemi-walker project was a success, providing a comfortable, stable and safer walking experience for older adults. If you have an idea for a project, let us know or contact Dr. Ruegsegger directly at ruegsegger.1@osu.edu. Click here for more facts about the recent White House Conference on Aging 2015. 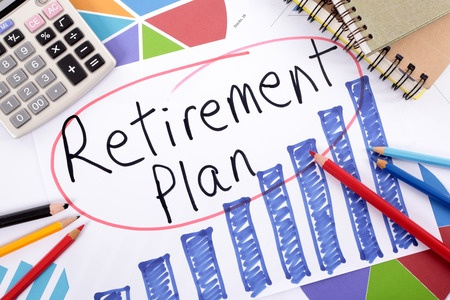 Check out the new U.S. Department of the Treasury saving tool, "myRA"
There is so much to learn about creating the best retirement plan for you and your family! A good place to start is with the Wiser Women's Institute for a Secure Retirement, which has excellent resources for both men and women planning for retirement. So, what are you waiting for? Source: Retirement Security: Best Practices for a Secure Retirement Webinar. 2015 White House Conference on Aging (WHCOA). http://www.whitehouseconferenceonaging.gov/blog/post/webinar-on-retirement-security.aspx/. Published April 15, 2015. Accessed April 23, 2015. The National Institute on Aging (NIA) has designated September the first annual “Go4Life Month”. Go4Life is a new initiative by the NIA aimed at increasing exercise and physical activity in older adults’ daily lives. For the older consumer, the Go4Life website provides extensive information on how exercise can help, being safe while exercising, tips for exercising, examples of exercises, nutrition information, and online planning and tracking tools. 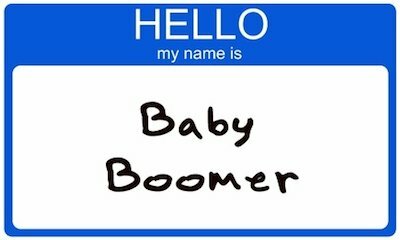 Additionally, they offer a multitude of free resources that can be utilized by older adults and organizations caring for older adults. Organizations can also sign up to partner with the NIA Go4Life program, and will receive free program ideas and resources, a monthly newsletter, and free listing on the Go4Life website as an organization partner. To learn more about this initiative, go to the Go4Life website. Senior Day at Ohio State Fair! The first Ohio State Fair took place in October of 1850 in Cincinnati, Ohio on several acres of grass. Admission was 20 cents. 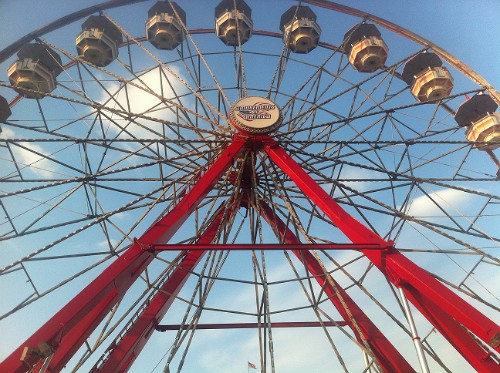 Since 1886, the Ohio State Fair has been held in Columbus, and this year will be held from July 29th through August 9th at the Ohio Expo Center. Luckily for adults 60 and over in Ohio, there’s a Senior Day at the Ohio State Fair! During Senior Day, older adults enjoy discounted admittance to the fair, discounted ride wrist bands ($5), free admission to special programs like “Let’s Hang On,” America’s #1 Frankie Valli Tribute (1pm), free health screenings and educational demonstrations at the Ohio Department of Aging “Well Beyond 60!” exposition, and much more. Learn more about senior day and purchase group or senior discount tickets here. Heart disease is the number one killer of men and women in the U.S., and stroke (cerebrovascular diseases) is the fifth most deadly. 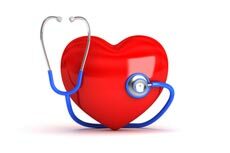 In an effort to address the growing number of deaths associated with these conditions, due primarily to the aging of our population, the Centers for Disease Control and Prevention and the Centers for Medicaid & Medicare Services in the Department of Health and Human Services introduced a national cardiovascular disease risk reduction initiative called Million Hearts® in September of 2011. The mission of this initiative is to prevent 1 million heart attacks and strokes by 2017 focusing on the "ABC’S" of prevention . . .
As a partner of the Million Hearts® initiative, The Ohio State University Colleges of Medicine, Pharmacy, Nursing, Office of Human Resources, and other health care disciplines are collaborating to offer programs and services for OSU faculty, staff, students, and the community. For example, faculty, staff, and eligible partners and spouses are eligible for free biometric health screenings that when completed decrease health insurance premiums. Other events and presentations on nutrition and heart health are being presented at OSU and in the community. Health care students are also being educated about how to conduct and interpret the Million Hearts® health screenings performed in the community setting. Read more about this initiative and join the national Million Hearts® initiative by clicking here!